Teledyne LeCroy has developed over six generations of USB development and production tools since the introduction of USB. Teledyne LeCroy products build upon the experience and knowledge of the needs of the USB development and test communities. The result is a product line with unprecedented functionality, unparalleled flexibility, and uncompromising user friendliness. Teledyne LeCroy tools are highly accurate and reliable. Their use improves the speed and efficiency of the debug, test and verification process of USB semiconductors, devices, and systems. Each successive generation of Teledyne LeCroy products has built upon the previous knowledge and success; the result is over a decade of experience in developing digital communication protocol analysis tools. All Teledyne LeCroy tools utilize a high-impedance, non-intrusive probe that acts strictly as a "sniffer" and provides neither signal re-timing nor amplification, thus assuring users of data integrity that has not been compromised. Consistent with the continued emergence of Hi-Speed products, the USBTracer/Trainer provides users a Hi-Speed USB host interface, which speeds upload transfers as much as 40x faster, allowing for quicker (immediate?) access to captured traces. It also provides complete Native OTG (On-The-Go) support that automatically detects, decodes, and displays HNP (host negotiation protocol) and SRP (session request protocol). More importantly, SRP occurrences such as VBus and Data Line pulses are captured, displayed and integrated in the trace file; this synchronized view of the OTG protocol provides users a complete, end-to-end look at OTG occurrences in the Bus. USB, or Universal Serial Bus, is a connectivity standard that enables computer peripherals to be connected to a computer without reconfiguring the system or opening the computer box to install interface cards. USB was introduced in 1995 and replaces the serial, parallel, mouse and keyboard ports. The host computer automatically recognizes the device and installs the appropriate drivers. It is a fast, bi-directional, low-cost, dynamically attachable serial interface that was visualized to provide ease of connectivity to PCs. With features such as high speed and hot "pluggability", USB has become a de-facto standard for various consumer and peripheral devices. USB connectivity standard allows up to 127 devices connected to a Host System. The current standards of USB allow data transfer rates of 1.5 Mbps, 12 Mbps and recently 480 Mbps. 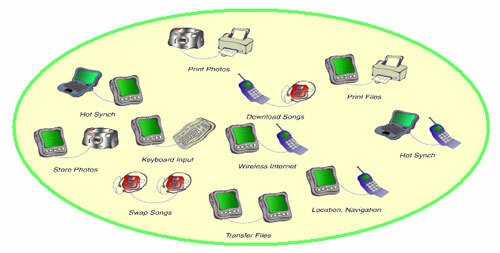 USB enables low, medium and high-speed connectivity between computers and peripheral devices, including keyboards, mice, printers, scanners, joysticks and cameras, using plug and play technology. Hi-Speed USB extends the speed of the connection from 12 Mbps on Original USB up to 480 Mbps on Hi-Speed USB, providing an attachment point for next-generation peripherals which complement higher performance PCs and user applications. Hi-Speed USB is both forward and backward compatible with Original USB, resulting in a seamless transition process for the end user. In fact, Hi-Speed USB uses the same cables and connectors as Original USB. Hi-Speed USB offers a compelling opportunity for peripherals vendors to migrate their USB peripherals to higher performance, while still being able to sell the same peripherals into the huge installed base of USB-capable PCs. Hi-Speed USB is also expected to lead to the development of higher performance peripherals that will bring new applications to the PC. As evidenced by USB popularity, several extensions of the technology have been introduced recently to try and capitalize on its installed base/ popularity. An example of this extension, which is supported and approved by the USB Implementers Forum (USB-IF), is USB On-The-Go (OTG). In addition, several products that have traditionally been 1394-based such as digital camcorders are now coming to market with USB 2.0. USB OTG is a supplemental standard to the USB 2.0 specification and was introduced in the first quarter of 2002. Due to USB’s widespread acceptance, USB is becoming the de facto industry standard for connecting peripherals to PC's and laptops. Many of the new peripherals now using USB are also portable devices. Hosts cannot normally attach to each other and peripherals cannot normally attach to each other. Essentially, USB OTG allows USB peripheral devices point-to-point communication, which traditionally a USB peripheral would always have needed a PC in order to perform data exchange. USB peripherals would then be able to directly exchange and process information without the need for a PC. USB OTG provides a standard universal connection among peripheral devices.